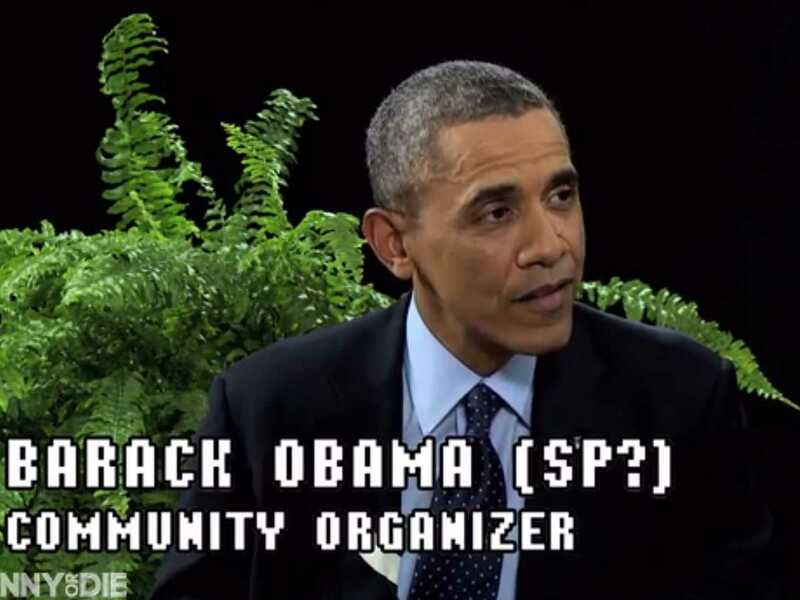 Why did President Barack Obama go on “Between Two Ferns,” an irreverent talk show hosted by comedian Zack Galifiniakis? The context comes about two thirds in, when the president talked about HealthCare.gov, young “invincibles” and health insurance that costs about as much as a cellphone bill: young people are still not aware of the policy or going to the site. According to White House officials, the appearance on the show made FunnyOrDie.com, the comedy site that hosts the show, the number one referrer of Traffic to Healthcare.gov today. Update: According to an unnamed HHS official on a conference call today, some 19,000 of the 3 million people who have watched the video clicked on Healthcare.gov. Update II: McGuiness tweeted that traffic to Healthcare.gov was up 40% compared to the previous day. Funnyordie video has 11 million views. http://t.co/a7HUExG0vg traffic for yesterday was up almost 40% from Monday. In other words, it worked. I’ve asked for more comment from the White House on traffic and conversions and will update this post as necessary. In the meantime, the answers to whether the president should find young audiences online, the White House should be making animated GIFs or the Department of Health and Human Services should be dabbling in doge memes are all a qualified yes: social media and online video are crucial mediums for outreach to a younger generation that has grown up digital, sharing what they read and watch with their friends and family. It’s the tone of the comedy as much as the online medium that really targets the young audience Obama is pitching to here. There’s a cringe-humor generation gap; if you’re over a certain age, or simply haven’t watched much of a certain kind of contemporary comedy, you’ll probably watch it thinking that the segment is bombing and Obama is getting legitimately angry. But it’s a good fit for Obama’s sense of humor, which is a little dry and a little cutting–in ways that don’t always play in rooms when there are no ferns present. A new paper from Yochai Benkler and co-authors at the Berkman Center maps how the networked public sphere led to the Stop Online Piracy Act and Protect IP Act being defeated in the U.S. Congress. One data set, however, was missing from the paper: the role of social media, in particular Twitter, in reporting, amplifying and discussing the bills. 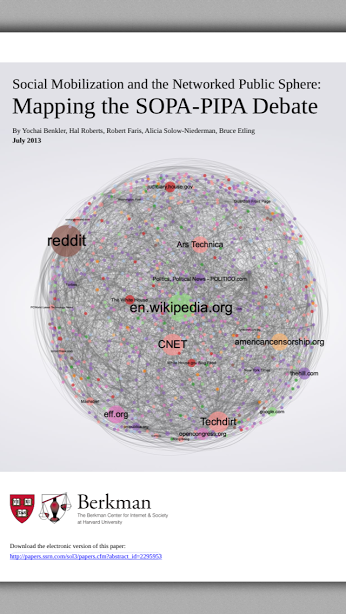 The microblogging platform connected many information nodes mapped out by Berkman, from hearings to activism, and notably did not shut down when much of the Internet “blacked out” in protest. The paper extends Benkler’s comments on a networked public commons from last year. As I wrote then, we’re in unexplored territory. We may have seen the dawn of new era of networked activism and participatory democracy, borne upon the tidal wave of hundreds of millions of citizens connected by mobile technology, social media platforms and open data. As I also observed, all too presciently, that era will also include pervasive electronic surveillance, whether you’re online and offline, with commensurate threats to privacy, security, human rights and civil liberties, and the use of these technologies by autocratic government to suppress dissent or track down dissidents. Finding a way for forward will not be easy but it’s clearly necessary. In the 1990s, the Internet changed communication and commerce forever. 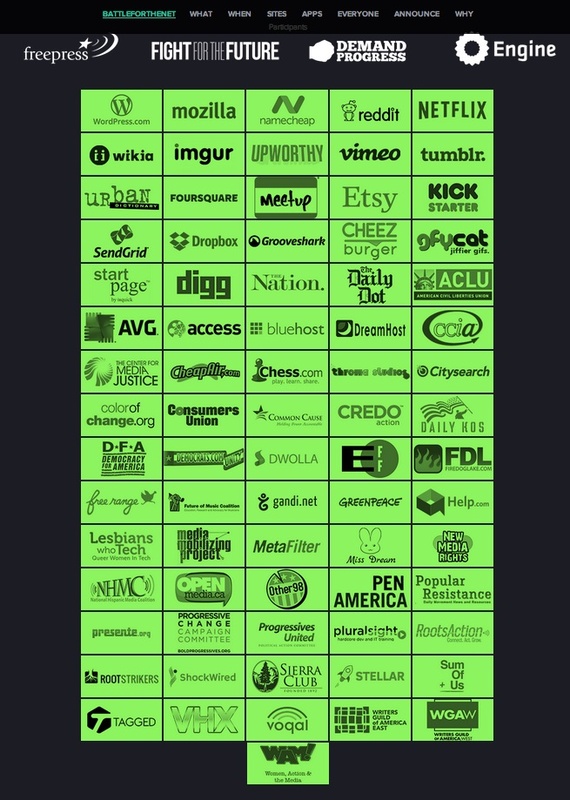 A decade later, a new social layer for the World Wide Web democratized the tools for online publishing. Citizens without specialized technical skills can now easily upload pictures, video, and text to a more interactive Web, where they can then use powerful new platforms to share, mix, and comment upon it all. In the years since the first social networks went online, the disruption presented by this dynamic online environment, fed by faster Internet connections and a global explosion of mobile users, has created shifts in the power structure as powerful as those brought about by the introduction of the printing press centuries ago. With the Internet being hailed as the public arena for our time, governments around the world are waking up to a changed information environment in this new 21st century. Social-media platforms present new risks and rewards for government, but the fact is these platforms are hosting public discourse between hundreds of millions of citizens. In the context of these changes, public servants have begun using social media to share information and engage with citizens. Below, four digital pioneers share their insights, experiences, and hopes about the new opportunities social media offers for people to participate in their government. These essays were originally published in the Association for Computing Machinery’s “Interactions” Magazine. They are republished here with permission. By Steve Ressler (@govloop), founder of GovLoop.com, former IT program manager and auditor at the U.S. Department of Homeland Security. In 2012, social media is mainstream. Facebook is preparing a $100 billion IPO. President Obama is hosting a series of [social media] Town Halls. Even my grandmother is on Facebook. So what’s the role of social media in government? A few years ago, social media in government was brand new. It was exciting when a new city launched a Facebook page or a councilperson posted meetings on YouTube, or a state department launched a mobile app. Reach more people. One of the core foundational roles of state and local government is to provide information for citizens. This is why for years government agencies have sent information via postal mail, printed agency newsletters, held in-person town hall meetings, and built telephone call centers. With more than 750 million users on Facebook, 200 million on Twitter, and the whole world tuning in to YouTube, social media is simply the largest channel that most people use these days to get information. Get feedback. Another core role of government is to get feedback from citizens. Classic town halls simply do not work as well in today’s modern society, where everyone is busy and few people have the time to drive downtown at 5 p.m. on a Wednesday for a meeting. Social media is an interactive, two-way medium that acts as a great vehicle for real-time feedback. Lower costs and increase revenue. In today’s tough budgetary times, cities and states simply cannot ignore opportunities to lower costs and increase revenue. Mobile applications like SeeClickFix let citizens photograph and report potholes and other city problems, instead of the city having to send out a truck to investigate every call-in complaint. Instead of spending tens of thousands of dollars on printing and mailing property-tax statements or city guides, city governments can save lots of money by sending the same information via email and social media. And that’s just the beginning. I’ll be the first to admit that social media is not perfect. It is not a magic cure. Just because you add new social media channels does not mean you can remove other channels, like phone lines. Further, implementing social media well is a skill, and it takes time to see its impact. It matters, however, because the world has already changed. If government wants to remain relevant to citizens, it must evolve to meet the demands of the 21st century. The modern citizen is using social media, and is the reason why Facebook has  million users, and that iPhones and iPads have made Apple the second most valuable company in the world. Government must meet citizens where they are now or risk losing the opportunity to be more relevant to their lives. By Jeffrey Levy (@levy413), Director of Web Communications at the U.S. Environmental Protection Agency. The use of social media runs the gamut, from agencies that are still considering it, to those who are using it mostly as a broadcast mechanism, to those like EPA that offer a mix of broadcast and community participation, to those who rely on social media for full-blown collaboration. Social media gives us good tools to enhance transparency, participation, and collaboration. But the trick is figuring out the most effective projects in which to use these tools. Five years ago, there wasn’t even a single U.S. government blog. Today there is at least one U.S. agency using every type of social media I can think of. EPA itself is engaged in most channels, at least in broadcast mode and often in two-way discussion and the solicitation of community-created content (photos, videos, comments, etc.). Social media works very well in conjunction with email and websites. At EPA, we use all channels to promote other channels, both by cross-linking and by embedding content from social media into Web pages. Some things we’re starting to think about are how to use two-dimensional barcodes (QR codes) well, and developing mobile applications in general. One nice thing is that many social media sites already have mobile versions, so it is simple and useful to link to them from our mobile site. We are active where the people are on the most popular social media platforms, so we have the chance to talk to, and respond to, people who may never come to our main website. We also have a much broader ability to share our information. In many cases, we hear ideas from people who otherwise would not contact us. For example, during the recent nuclear crisis in Fukushima, Japan, we were able to answer questions through Facebook to help alleviate concerns and provide solid information to new groups of people. Our mission is best served when we work collaboratively with the public to protect their health and the environment. Photo and video projects engage people. For example, the “It’s My Environment video project involved hundreds of people making short video clips, in which they took ownership of protecting our environment. By using social media channels to promote “Pick 5 for the Environment,” we challenge people to take other kinds of actions. Social media can also help us catch environmental criminals simply by helping us advertise our fugitives list. The health warnings we issue can reach hundreds of thousands of people through Facebook, Twitter, and email. The recipients are people who asked to be kept in the loop, so they are a much more interested audience than the general public. Another key aspect of our mission is our use of online discussion forums, where we invite anyone to share their thoughts and opinions on policy issues. My social media mantra is mission, tools, metrics, teach. It depends on the channel, but generally, we need better stats. For example, we have 42,000 followers on Twitter. But what’s the number of people who actually see a particular tweet? Facebook provides impressions, which is a more useful statistic. YouTube provides some good metrics too. We also need inexpensive tools to help us monitor multiple channels. Each social media company is doing its own thing, and most are not focused on helping us cross channels. But multichannel management will become increasingly important as we grow more active in more channels. By Nick Schaper (@nickschaper), Executive Director of Digital Strategic Communications at U.S. Chamber of Commerce, former Director of Digital Media for U.S. Speaker of the House of Representatives, Representative John Boehner. Much has been made of American politicians’ sometimes transformative, sometimes awkward, and occasionally career-ending entrances into social media. Suffice it to say that many are on board and they’re not likely to exit social media. Your member of Congress wants you to like him or her, both at the ballot box and on Facebook. While the number of elected representatives integrating social media into their communications efforts has soared, this is still very much a new frontier in governance. Americans are getting a very rare opportunity to shape the direction of their government. In the heady frontier days of the government’s adoption of social media (five to seven years ago), members of Congress moved from the stodgy “traditional media” strategy of drafting and sending out a press release to the cutting-edge “new media” strategy of drafting and sending out a press release and then posting a link to it via Twitter and Facebook. It was hardly splitting the atom, but it was moving in the right direction. As the government social media ecosystem continues to evolve, we’re seeing more aggressively innovative efforts aimed at increasing participation, transparency, and accountability. Officials and their staff are identifying the unique abilities of popular platforms, such as Facebook and Twitter, and they’re adjusting their communications accordingly. In the past year alone, we’ve seen Republicans in the U.S. House of Representatives enlist Americans’ digital support in voting on which government programs to cut, resulting in their directly shaping the governing agenda of what would become the House’s new majority. 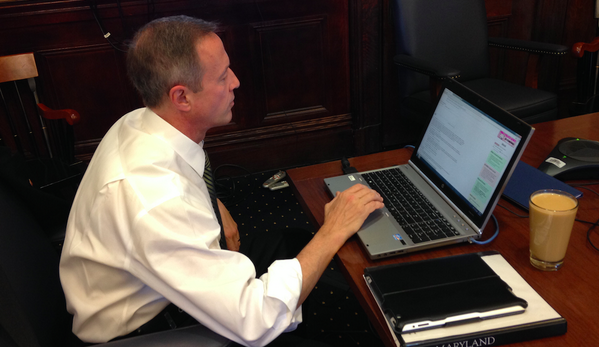 Further down Pennsylvania Avenue, the Obama Administration’s digital team has led the nation’s first Twitter and Facebook town halls, among numerous other experiments in participatory and open government. These efforts have helped to create a vast new virtual town square. Unfortunately, that square is still a noisy, unruly place. Like much of the Web, .gov is plagued by signal-to-noise issues, many of which are exacerbated by the unique rules and traditions of each branch. Members of Congress, for example, would prefer to communicate primarily (if not exclusively) with constituents who live in their districts. Users don’t generally list their home address in their Twitter bio, so should members be @replying to tweets when they can’t trace the origin? Identity and bandwidth challenges will not be solved anytime soon, and certainly not in this space, but suffice it to say that your representatives are eagerly looking for new ways to communicate and legislate. 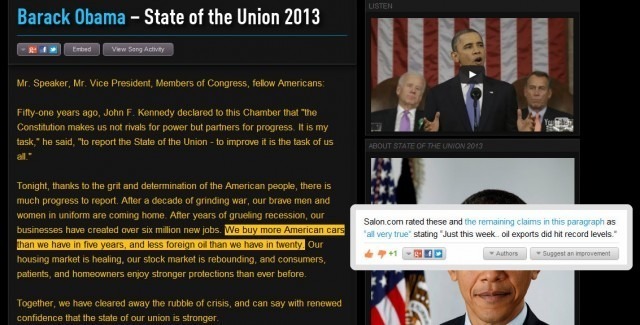 Congressional staffs scour online communities for mentions of their bosses. Bloggers and other digital influentials have been given unprecedented access to politicians. When the president recently took questions live via Twitter, he found himself on the hot seat in his own White House when he faced questions on the lack of jobs and a flagging economy. All of this is testament to the fact that the tweets and status updates of citizens are echoing in the marble halls of our nation’s government. The marriage of social media and government has made it through the honeymoon stage. To what degree that results in a more perfect union is still yet to be seen. The potential for transformative change is there, and I’m confident it will be realized by this and many generations of social media patriots to come. By Stephanie L. Schierholz (@schierholz), former Social Media Manager, National Aeronautics and Space Administration. Making NASA accessible to the American people—and, really, to citizens around the world—has been ingrained in the agency’s operations since the early days. If you are old enough, you know this is true because you saw astronaut Neil Armstrong set foot on the moon via television signals from a NASA broadcast. Today you can watch NASA TV streaming online via your computer or mobile device. The mandate to share what the agency is doing as widely as possible (and a restriction against advertising) keeps us on the lookout for new ways we can spread the word and be more accessible. 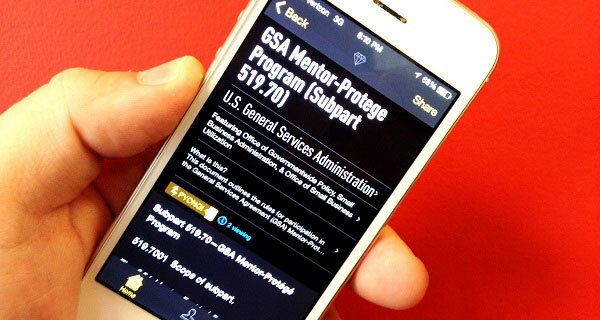 Social media tools have enabled NASA to engage the public efficiently and effectively. Social media sites provide us an easy way to keep the public updated with news delivered straight into their personal newsfeed or homepage, which they probably visit more often than traditional news sites or the NASA website. The agency has come quite a distance since the pioneers at NASA’s Jet Propulsion Laboratory started a Twitter account for the Phoenix Mars Lander program (@MarsPhoenix) in May 2008. NASA’s primary Twitter account (@NASA) has more than 1 million followers. We have more than 200 social media accounts agency-wide, including more than 20 astronauts on Twitter. You can find them all at www.nasa.gov/connect. Because of its interest in identifying new ways to connect, NASA was the first government agency to form partnerships with Gowalla, Facebook, and SlideShare. Why? Because each allows the agency to share our content with audiences who might never visit the main NASA website. The real value of NASA’s use of social media tools can be seen in the level of engagement they attract and the communities that form around them. It is called social media because our fans and followers have a reasonable expectation their questions will be answered and their comments heard. By responding and interacting with them, NASA has the opportunity to educate, inform, and inspire. Fans and followers who are passionate about what we do have platforms to express this passion and share it with others. NASA “tweetups” take it to the next level, bringing the online engagement to in-person gatherings where participants have an opportunity to talk to NASA leaders, scientists, engineers, and astronauts and the chance to see how and where we work. Participants have arrived at NASA tweetups as casual fans or followers and walked away as enthusiastic advocates of the work we are doing. A strong sense of community develops at these events, exemplifying how social media can bring together people who have common interests. What’s next for NASA and social media? We’ll continue to keep our eyes open for platforms we can use to engage and share the word out about what we’re doing. Meanwhile, the agency is working on improving our internal support for social media, focusing on processes, guidelines, and coordination. You can expect to see improvements to our Facebook page, a mobile check-in spot for our “Search for the Moon Rocks” partnership with Gowalla, a Foursquare mayor of the International Space Station, more of our presentations, videos, and documents on SlideShare, and more out-of-this-world content in the places you go to be social online. The insights and experiences shared above represent only a small sample of the variety of ways in which social media is transforming governments. While the examples are U.S.-centric, they do represent trends that are evolving in other countries. What we’ve left for a future discussion is how citizens around the world are using social media to disrupt traditional ways of governing. For instance, social media is credited with helping to accelerate social change in Tunisia, Egypt, and other parts of the Middle East. It has also been used in collaborative partnerships between government and citizens to respond to man-made crises or natural disasters. The examples above, however, should provide a useful overview of some of the ways in which today’s participatory platforms are playing increasingly important roles in the evolution of government of, by, for, and now with the people.